Forget blondes – redheads definitely have more fun. You may remember a couple of months ago when Taylor Swift went back to her country roots and teamed up with Sugarland to release the song "Babe", which she wrote all the way back in her Red days. Since Red was Taylor's best album (don't @ me, I still love you Reputation), we all knew it would be a gentle country-slash-pop bop. And we were right! As if being blessed with country Taylor in the year 2018 wasn't enough, during last night's CMT Music Awards, Taylor and Sugarland premiered a sneak peek of the music video for "Babe", and oh my god, it looks epic. The song is all about finding out your partner has been cheating on you, so the music video was obviously going to be dramatic AF, and I am not disappointed. 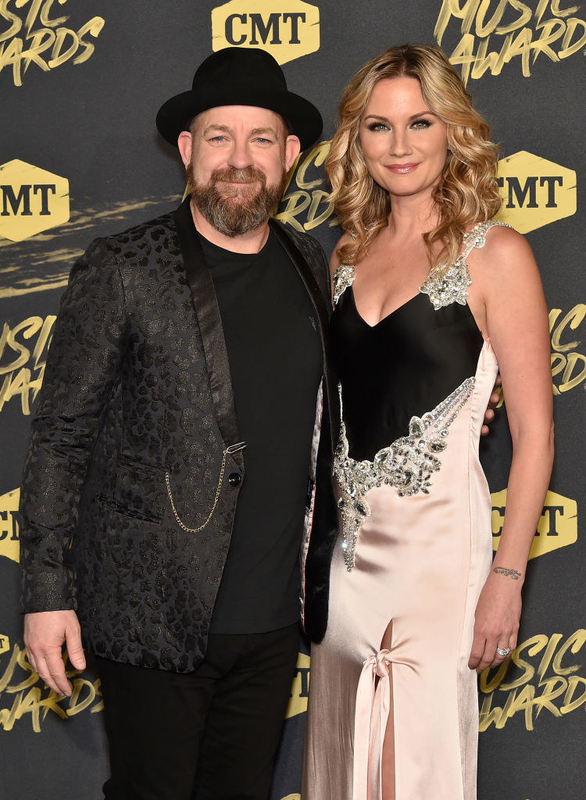 In the video, Sugarland's Jennifer Nettles finds out her husband has been cheating on her, and she doesn't look very happy at all, TBH. Sidenote: I'm totally getting "Blank Space" video vibes from this shot. Who is the other woman, I hear you asking? It's NONE OTHER THAN TAYLOR ALISON SWIFT, LADIES AND GENTS. Oh, and did I mention she's a redhead in this video? I'm pretty sure this means I have to dye my hair ginger now. Queen of changing hair colours for music videos!!! You can watch the rest of the "Babe" music video in all its glory when it premieres this Saturday! But for now, you can just enjoy listening to the audio version. It's a bop!